Experience the best Bay Harbor has to offer from this main~level luxury condo!! Located a short distance from Bay Harbor`s famous marina, shopping, restaurants and Yacht Club!! Just a short walk will take you to the association clubhouse featuring indoor pool and hot tub. 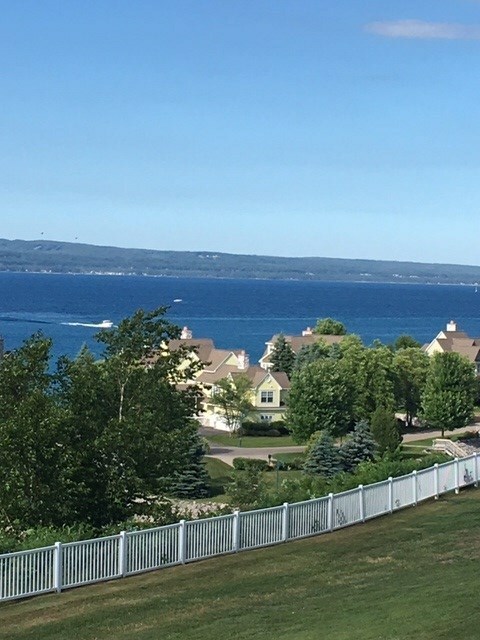 The Cliffs at Bay Harbor is a private~gated community with immaculately maintained buildings and grounds. This association even has it`s own on~site management and maintenance team!! Enjoy spectacular views over Lake Michigan from the main level balcony or the lower level that opens out to expansive fenced green~space. This condo features a main floor master suite and open kitchen, dining and living areas. Lower level features additional living room, bedrooms, full bath, and large utilitystorage room. Condo is being offered furnished with a small list of exclusions..